A 15-year wait for suspects in Haren Pandya’s murder case may come to an end as a witness testifies in open court that Sohrabuddin was responsible for the killing and had told him the contract was given by top cop D.G. Vanzara. Atal Bihari Vajpayee, Narendra Modi and D.G. Vanzara. This is the first of a two-part story. The second part is here. Hyderabad: Small-time gangster Azam Khan’s surprise testimony at a CBI special court in Mumbai last Saturday proved one thing beyond doubt: That he was still alive. He must thank god for small mercies, though spending a dozen or so years in and out of jail must hardly count as a life. Fifteen years after the event, Azam Khan testified in open court that former crime branch cop and then-chief minister Narendra Modi’s blue-eyed boy D.G. Vanzara had given the contract to kill the former Gujarat home minister Haren Pandya in March 2003. It is important to understand exactly what he said. He said Sohrabuddin claimed Pandya’s supari was given to three people and one of them was Sohrabuddin Sheikh. The other two were Naeem Khan and Shahid Rampuri, another gangster whose name has figured in the Pandya matter for the first time. Azam Khan said that “at Sohrabuddin’s instance”, Pandya’s killing was carried out by Sohrabuddin’s associate, Tulsiram Prajapati, and “one boy”. For 15 years, this has been the rumour thanks to secret probes that have never seen the light of day. This is the first time, however, that testimony has been given in open court. Both Sohrabuddin and Tulsiram Prajapati are dead. Naxalite-turned-police informant and real estate thug Nayeemuddin, aka Naeem, who also played a role in the drama, is dead too. All three were conveniently killed in police encounters between 2005 and 2016. Former home minister Amit Shah once complained that the spotlight on the Gujarat police was unfair and that the Hyderabad police has missed the attention it should have got. In that, he has been right. However, several important questions now raise themselves. Is Azam Khan telling the truth? And whatever it is, why now? If yes, why would Vanzara give out the contract? Who was the other “boy”? Is he still alive? If yes, where? Where is Shahid Rampuri and is he still alive? And finally, what was Vanzara’s connection to the Pandya case? Azam Khan’s father was a small time visa agent who died without giving his son a decent education. Khan himself wasn’t particularly interested in studies and entered into crime with small cricket bets, much the rage in the late ’90s and early 2000s. This was also how he was introduced to local cops, and picked up a rowdy sheet. As with the stories of most men, it’s about who you end up meeting. In the early ’90s, Abdul Latif was Gujarat’s favourite gangster. People loved him or loved to hate him. One way or another, most had a relationship with him they didn’t want the world to know about. When Latif was killed in an encounter by the Gujarat anti-terror squad (ATS) in 1997, he left behind two lieutenants, Sharif Khan and Rasool Party. Salim Anwaruddin Shaik was Sharif Khan’s driver. Once while checking into a hotel for Sharif he’d used an alias that he liked and used forever after that. The alias was Sohrabuddin. Also read: Mystery over Haren Pandya Killing Deepens After Witness Says Top Gujarat Cop Gave OrderAzam Khan had the misfortune of meeting up with Sohrabuddin around 2001-2002. At the time, Latif was dead, Sharif Khan and Rasool were on the run in Dubai, and Sohrabuddin was out on bail in the famous ‘AK-47 case’ from the time of chief minister Suresh Mehta. In passing interest: a very young Geeta Johri had arrested Sharif Khan after Congress leader Rauf Valiullah was murdered in 1992 in almost similar circumstances as Haren Pandya. But surprise, surprise. Sharif Khan escaped. Several police constables were charged, convicted and removed from service for the failure. The police later arrested Sharif Khan’s driver, Sohrabuddin, and discovered 26 AK 47s hidden in a dry well in Sohrab’s native village in Jhirniya, Madhya Pradesh. The initial number was believed to be 48, but by the time the case got to court, the number became 26. Sharif Khan got away and Sohrab got entangled with the next generation of Crime Branch and ATS (Anti Terrorism Squad) cops. Latif’s major business had been illicit liquor. With him dead, the illicit liquor business had moved from Muslim gangs to Hindu gangs in Gujarat. This left Sohrab without a portfolio. Most of the Muslim gangs had moved to Udaipur including one of Latif’s sons. For reasons best known to him, the senior Gujarat police officer Abhay Chudasama kept Sohrabuddin invested by pivoting him towards the real estate and inter-state marble mafia. For a long time, Sohrabuddin was really Chudasama’s man, and Vanzara only chanced on him accidentally. According to a source who was once close to the case, at one point when Sohrab’s brother, Rubabuddin, chose to re-appeal his brother’s case, he specially asked that Chudasama be kept out of the appeal. The sum of which story is: Azam is definitely telling the truth when speaking of Sohrabuddin’s closeness to the Gujarat police in general, and Vanzara in particular (and Chudasama too, as Azam Khan said in an earlier statement). Sohrabuddin has a long history with them – not all of it on the other side of the fence. Is it the whole truth, though? His formal testimony is over but the story isn’t. For instance, Azam, Sohrabuddin, Tulsiram and others were arrested for allegedly killing another gangster called Hamid Lala on December 31, 2004. That is how Gujarat police got Sohrabuddin and Tulsi back into custody – Sohrabuddin’s was off the books, Tulsi’s was not – and finally bumped them off. As Azam told the court, he himself was acquitted in the Hamid Lala case in 2009. What has not yet been mentioned is the fact that Sohrabuddin was also cleared of the murder charge. Hamid Lala’s murder also remains unsolved. So another question then arises: Who killed Hamid Lala and blamed it on Sohrabuddin, the man so conveniently dead that he can now be held accountable for almost anything? What is also manifestly clear is that a contract to kill Haren Pandya was given. The CBI at the time made an attempt to cover up the case in a manner that was so amateur and conspicuously silly that when the forensic world really hears about it, it really ought to enter some kind of world record. Twelve men were charged with Pandya’s murder along with an attempt to kill a small-time VHP functionary called Jagdish Tiwari. Despite holes in the prosecution story that a bulldozer could breeze through, POTA judge Sonia Gokani found everyone guilty as charged in 2007, even as the key accused, Rasool Party and Mufti Sufiyan, conveniently disappeared. She sentenced the allegedly guilty to life. In 2011, high court justices D.H. Waghela and J.C. Upadhyaya, more mindful of the presented and missing evidence, acquitted all the accused in the Haren Pandya case. At the time, Pandya’s wife appealed to the Supreme Court to reinvestigate. Guess who opted to appeal the acquittal instead? The Manmohan Singh government, after the CBI reportedly made a presentation to home minister P. Chidambaram and law minister Salman Khurshid. Whether the CBI briefed the ministers about what Azam Khan had told them is not known. That appeal is still lying with the court. In sum: As of now, officially, no one killed Haren Pandya. Certainly not those accused of the murder. 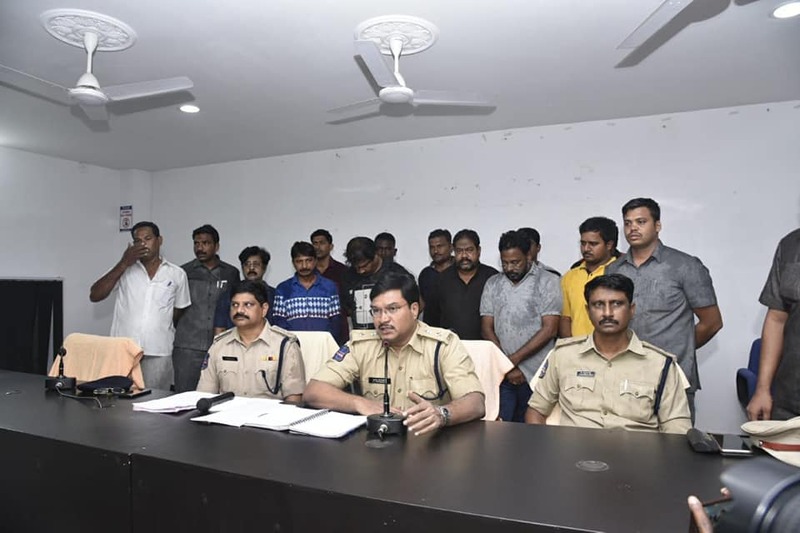 Asgar Ali, acquitted in the Haren Pandya murder case, was re-arrested recently by the Telangana police, for his alleged involvement in the ‘honour’ killing of a Dalit groom. In the photo above, he is wearing a blue shirt with white checks. Credit: TV18 Telugu. 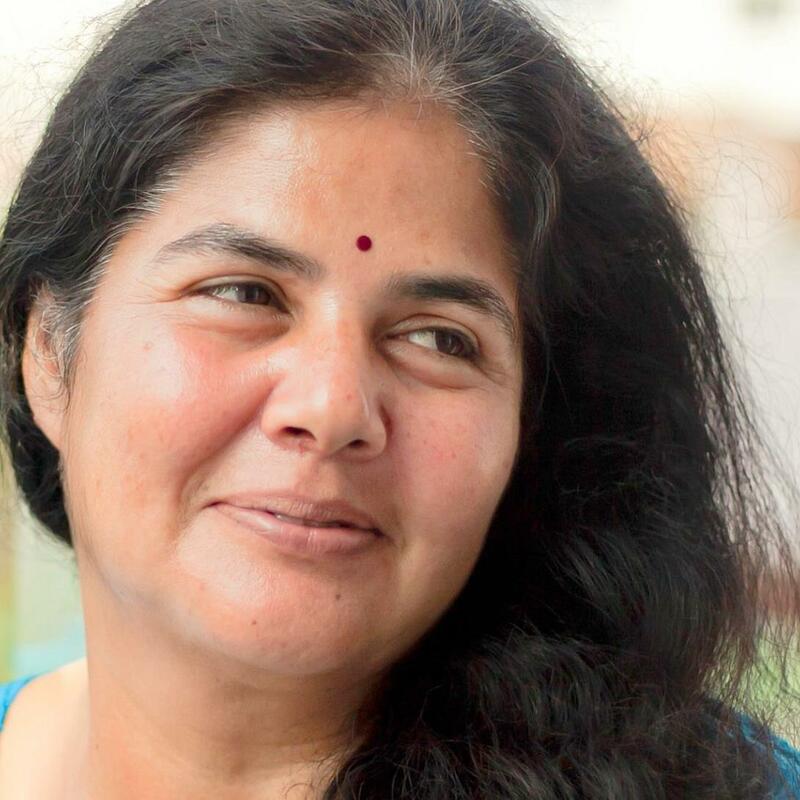 However – and this is a big one – the main accused in the case, Asgar Ali, was recently re-arrested in another completely unrelated case, from his home district Nalgonda in Telangana. In September, a honour killing briefly held the limelight when a local hotshot, Maruti Rao, participated in killing his own Dalit son-in-law. He and the man who allegedly did the actual hacking, Subhash Sharma, were picked up along with a few others. Among them was Asgar Ali and and Abdul Bari, both accused and acquitted in the Pandya case. They are now accused of being masterminds behind the honour killing. This still leaves Vanzara holding the baby. But why Vanzara? He had no skin in the game as far as Haren Pandya was concerned. He had to have been acting on behalf of someone else. Politicians don’t hobnob with petty criminals – cops do. D.G. Vanzara has the oldest, most open and most precarious connection to Narendra Modi, then chief minister of Gujarat, now prime minister of India, which he foolishly loved to flaunt. Some men are meant to be in the spotlight, and some in the shadows. Vanzara was always meant to stay in the shadows, but unlike his colleagues, Dahyabhai Gobarji never understood this critical maxim. Amit Shah was once caught on a contested CBI sting saying, “Sohrabuddin sealed his own fate”. It is quite possible this is how he looks at Vanzara now, that Vanzara may well have sealed his own fate. After all, while he was in jail in 2013, frustrated with Modi’s silence, Vanzara did tell CBI’s Sanjay Tamgadge that Pandya’s murder was a political conspiracy. The same Tamgadge also took Azam’s deposition at one time. Vanzara was released on bail a few months after that. Yet the man from Illol, where Sohrabuddin’s wife Kauser Bi was burnt and buried, is nothing if not unpredictable. And he’s had more lives than a cat. Despite, or perhaps after his seven years in jail in Sohrabuddin’s case, the Bombay high court upheld his discharge by a sessions court this year. To clarify, this is the CBI special court that is hearing the case. The stakes are much higher now that Pandya’s murder has been brought into it. The question is, was Vanzara connected to the Pandya case at all? The official story is he had nothing to do with it. The official story is a lie. Sarita Rani is an engineer turned reporter of 18 years. She is currently engaged in research for an independent project.